If you’ve done like I have, you have googled every couple months looking to see if Sony ever completed the missing DLNA feature for the PS4. In fact, I returned my PS4 when I learned it did not have DLNA. If you aren’t familiar with DLNA, it is what allows you to stream media such as videos and music from your computer to your PS3 or PS4. PS3 came with this feature natively, and for years I have used it to stream my movie collection (I ripped all my DVDs and put them on my PC) wirelessly to my PS3. Now, finally, the PS4 also comes with it. However, I will probably wait for the 1TB slightly more lightweight PS4 version to be released in the next couple months. If you don’t know how to do it, it is very easy. The media server I highly recommend for DLNA streaming is called PS3 Media Server. It is a desktop application and is available for PC, Linux, and Mac. Not only is it toally free and open source, it is super-simple to set up. After setting your desired settings and saving them, just open it up whenever you want to use it and turn on your PS3 or PS4 and it will show up automatically. It works wirelessly, although I prefer to hardwire it (using ethernet cables to the router) which provides better bandwidth and less lag for higher quality videos. Additionally, you can set up filters to make it so only your Playstation’s IP is able to connect, and you can also limit what files on your PC is available. For example, with my PC I put all my videos in a separate folder called “Videos”, and then set up PS3 Media Server to use with that. You do this by just going to the “Navigation/Share Settings” tab and scrolling to the “Shared Folders” section, clicking the icon with a green “+” symbol and navigating to the folder or folders you would like to stream to your PS3 or PS4. 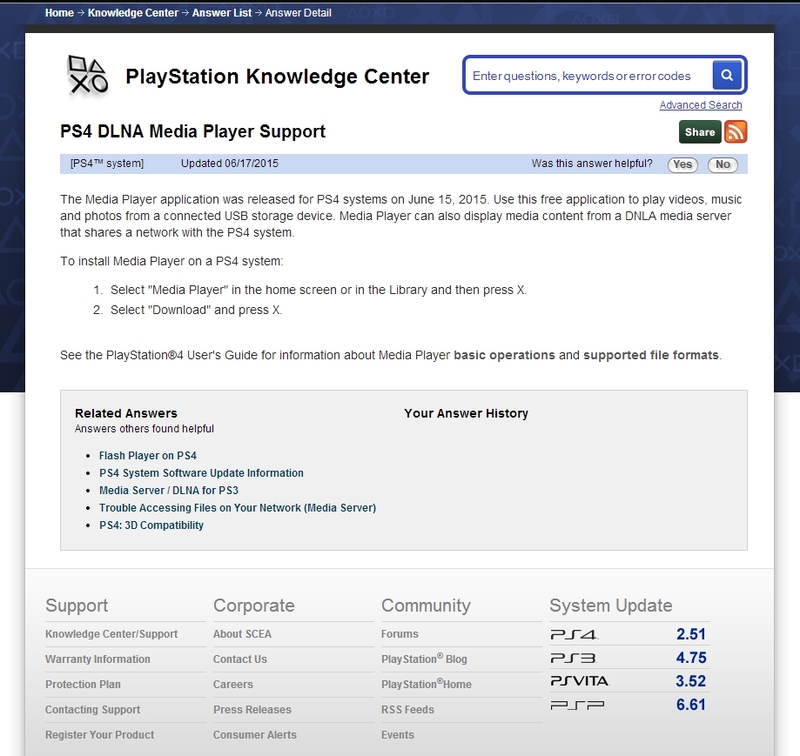 Please be aware that although it is called “PS3” Media Server, it works on PS4 and all other DLNA-compatible devices as well. Even though PS3 Media Server has not been updated in a couple years, it still works flawlessly. Although, I haven’t tried using it for the PS4 yet, but I expect it will work the same. There is another DLNA server based off the same code that is called Universal Media Server; However, I have tried both and have found PS3 Media Server to be more stable and less buggy for the PS3. UPDATE: People are saying that PS3 Media Server doesn’t work well with the PS4, so you should use Universal Media Server instead for the PS4. Universal Media Server is also a free and open source application that is compatible with PC, Linux, and Mac. Universal Media Server is a direct clone of PS3 Media Server, so you set it up and configure the same way, and it looks the same too. It’s great that Sony listened to us and finally released DLNA for the PS4. However, neglecting to develop the feature from the release date, and waiting almost two years to complete the feature, was a huge oversight on their part and unfortunately has helped to fuel sales for the Xbox One which otherwise would not have gained those Playstation users. 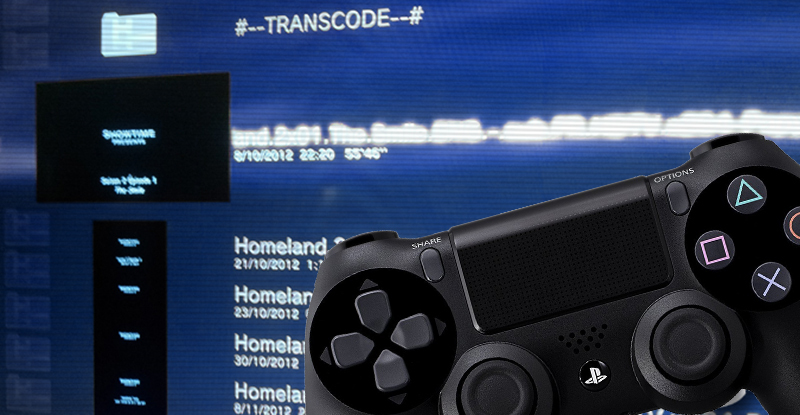 Enjoy DLNA on your PS4, and feel free to post in comments if you have any issues using it! For expert players, it’s the main income source and to earn lots of money through utilizing latest procedure. Thanks for the article. Just want to inform all folks who live outside US that PS4 is a great media player. DLNA is an offline media player, meaning the movies are stored locally on a server, NAS or another computer. Netflix is an online media player, meaning the movies are stored online with someone else’s servers. Someone that you typically have to pay in order to gain access to their library. You don’t need to do this with DLNA.